We get it; not everyone wants a premium Cabretta leather golf glove. With that in mind, we’ve created a performance glove guide tailored to finding the perfect glove at the perfect price. These gloves might not be widely played by tour players, but they’ll likely get the job done in your Saturday morning foursome. One key to our testing protocols is that we test products head-to-head. We select the top products from each category and put the products through detailed head-to-head testing. We test both in the lab and in the field. We score each product across a range of weighted categories. We then rank the products and explain why, and give awards to the best performing products in the category. This year we approached performance glove testing with more critical scoring and improved protocols. This was based on an intensive look at the market and feedback from consumers just like you. Several key findings from that research influenced the bag testing process for 2017. For a comprehensive performance glove test, the norms – feel, comfort, fit, and grip – are always considered. This year we examined the glove’s material dispersion, seam comfort, wrist design, strap efficiency, and material quality. We also received multiple units from every test participant to test the consistency of sizing and build for each submission. We put in hours of testing utilizing data-driven protocols to test new metrics. The numbers are better than ever. Over the course of the test, testers hit balls wearing each glove. For each glove testers hit eight shots and gave some scores during and some after the test. We were particularly interested in the phrasing of the testing questions, so prompt words were discussed before testing to ensure objectivity. By choosing when particular questions were asked, we were able to limit bias. There were opportunities for breaks in the test to help limit the impact of sweat and tester fatigue. Fit (35 points) – Quite simply how the glove fits…except a whole lot more. We examined every glove’s fit on every tester’s hand to look for things like excess leather in the palm, pinching around the fingers, and tapering design of the wrist. Think of this category like the “design” category of the glove guide. The best gloves in the fit category seemed to mold snuggly to every testers hand. We also tested consistency for all entries to ensure that companies provided products that are always the same. You may want to note; we did deem the fit category to be the most important. Comfort (15 points) – Score is based on whether there are any flaws in the glove, including abrasive material, poor stitching, or long fingers. Surveys for this category were implemented while the tester was hitting, as comfort is especially important during a shot. While playing, it’s imperative that your glove feel like there’s nothing there. 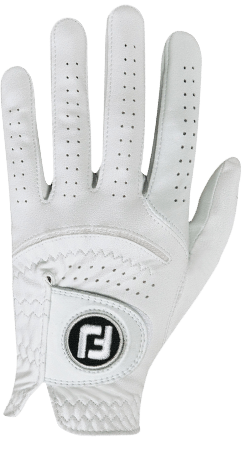 Feel (25 points) – Typically there’s plenty of ambiguity regarding the definition of feel in terms of golf, but for our purposes, it’s how the glove performs during the shot. Was it easy to feel the club throughout the swing? Did the glove help or hinder your ability to hit a good shot? We found that many gloves did well here, while some missed the mark entirely. Grip (25 points) – Does the tester feel like the glove provides an adequate connection to the club? Does the club move around in the tester’s hand during the swing? A good score in this category suggests there are no issues. It was clear that when gloves performed poorly in this category, they really had no chance of being successful within the larger test. Final grades were awarded based on total scores. 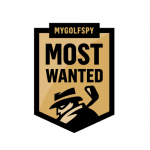 Best Overall is our highest overall scoring performance golf glove, and awards are awarded to the top three gloves. In addition, more specific Best in Class recognitions are awarded to gloves in certain categories (like grip, feel, comfort and fit) that push the industry envelope. "Best Performance Glove in 2018"
Just as with its Premium Glove, Ping offers the most outstanding option in the Performance category. The cooling technology is a fantastic addition for the golfer who sweats in their hands and wrists. 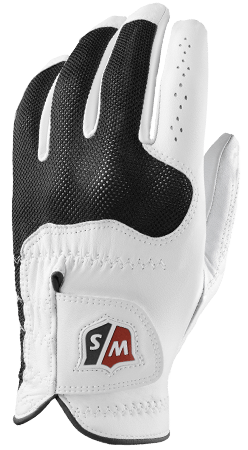 The Sport glove feels soft but durable at the same time when swinging. 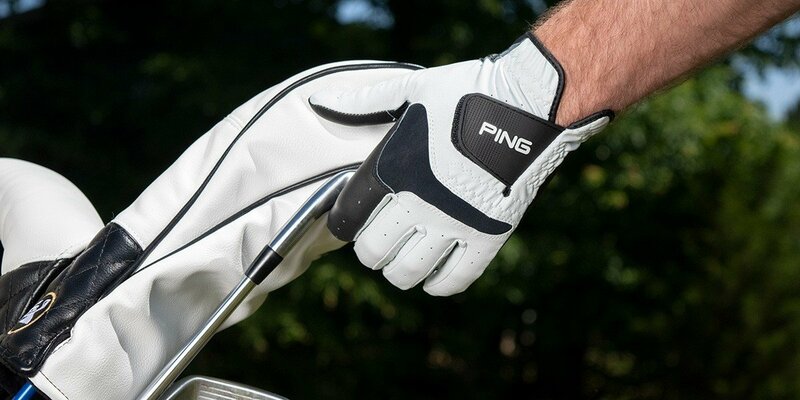 Overall the Ping Sport is great for the golfer who doesn’t want or need to spend on a premium glove. 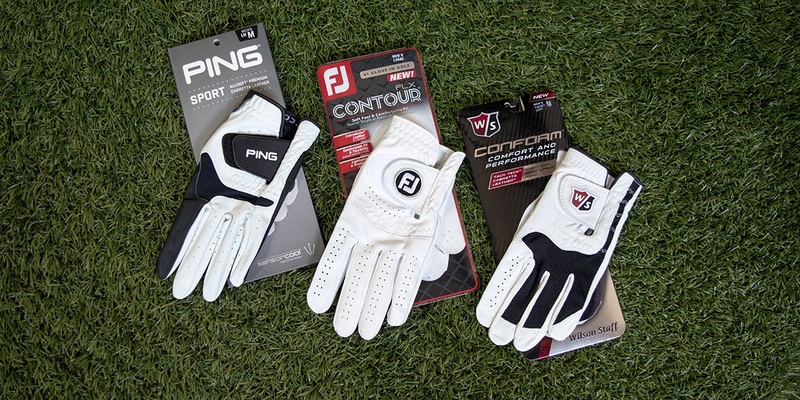 The Footjoy FLX Contour offers nearly the feel of a premium glove. The material itself is a bit thicker than you’ll find in a premium glove, but it feels great and allows you to feel the club during your swing. The Wilson Conform gives you comfort and performance at the same time. The Tack Teck Cabretta Leather provides you with soft feel when swinging. The upper mesh on the backside of your hand vents on a hot day. The Conform fits snug around your hand and fingers for top performance. Using the FJ WeatherSof but Ping… just might give it a try. I’ve had all kinds of brands and never said wow this is the best glove I ever had. Costco three glove and you get money back from a twenty. great fitting and feel but also too tight and long in the finger,strange to have both.do any of these gloves come in cadet sizes? Wow. How stupid are you idiots complaining about the mg glove not being on this list “you had mg on the list a couple weeks ago, what happened” Do you retards not understand that this is a different category of glove reviews? Whoa, calm down, friend. And as a family member to someone with Down syndrome, please don’t use that word again. Nice review; glad you broke gloves into different categories. I’m usually curious about the correlation between price and quality. Do you get what you pay for or are you paying for the “prestige” of a brand name? Clicked on the “Buy” link of top 3 gloves – all go to Amazon web site. Ping glove is unavailable. FJ is $19.99 and Wilson is $12.99 – less than is listed in the details table. Amazon has most of the gloves at a lower price than listed above. 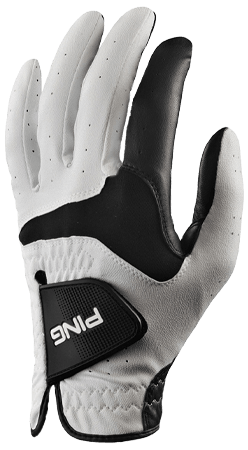 A google search shows the Ping Sport glove listed at $15.99 at GolfDiscount.com (much less than the $23 listed above). How about switching the “Buy” link from Amazon to Google? Completely agree that the Ping is the best glove in this grouping. It is by far the best glove I’ve ever used, the most comfortable and best fitting too. And the black palms seem to last longer as well or at least don’t show wear as much as the typical white gloves. This better fitting glove is a must try for anyone. The only down side is the cost, but as they seem to last longer than other gloves it may not be an issue. Totally concur, the absolute best glove in golf, the wear areas last forever and they are without question the best glove for high humidity and rain out there. 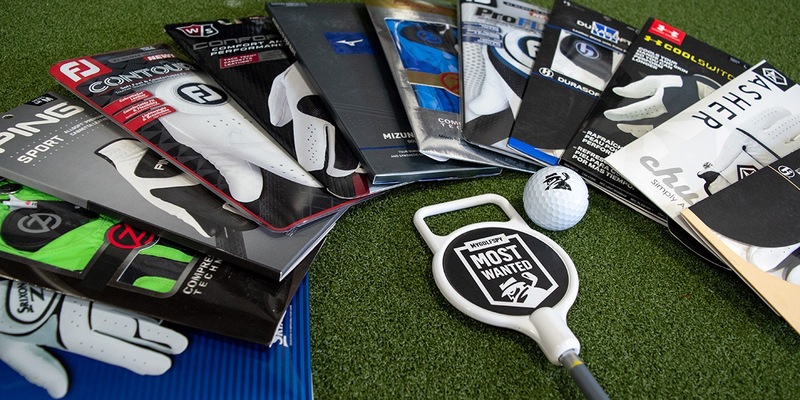 Anyone else notice another Wilson Sporting Goods product finishes high on the testing list? Wilson is beginning to return to the premium product categories!!! Their drivers, irons, balls and now gloves are moving up the leader board. We place gloves in one category or the other. We placed the MG in the PREMIUM category, which disqualifies it from the lesser PERFORMANCE category. That said, I do enjoy a good baseless accusation every now and again. You caught us, we’re throwing away years of building trust and selling out over a glove. How ’bout you hop back in your clown car and roll on outta here. Did you try any of the economy Cabretta gloves? I have been using the Classic Q, Classic S and Golden Eagle full Cabretta gloves since I go through them very quickly in Florida. Depending on where you purchase them (local golf shop + tax) or eBay (no tax but =/- shipping) they are about $5 – $7 dollars. They wear well but run a tad small so I have to buy the next size up. The only difference that I notice is that the are somewhat shorter at the wrist than the more expensive gloves. Great buy if you are looking for economy. I agree…..have been buying them since I saw them on E-Bay.My last name ends in S so people think I had them custom made. I’m surprised you left the MG Golf glove out of the review?! I know right? $6 and all cabretta. I’ve used them for years. Why would I pay more for a synthetic leather glove? (unless it’s a rain glove). Agree that MG golf gloves would have been a valuable addition to testing! Best glove for the price for 20+ years!! You had MG gloves 5th on your review of gloves a couple of weeks ago. What happened? They are a great inexpensive glove. +1 – MG gloves are short on price and long on quality. Ping is on a roll with their gloves, I’m going to have to give them a second look based on the longer finger review. Their gloves from a year or two ago were too short in the fingers for me so I continued using titleist or FJ gloves or even a Callaway glove. Golf glove analysis did not include Bionic brand which is a great glove with features the others don’t have. Agree. I use the Bionic. Would have been nice to see them in this analysis.